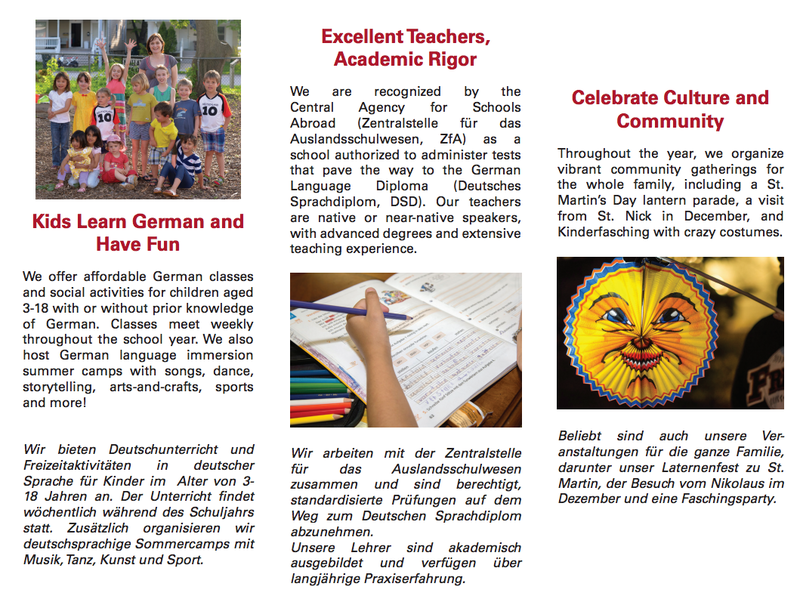 For a quick overview, see our informational brochure. 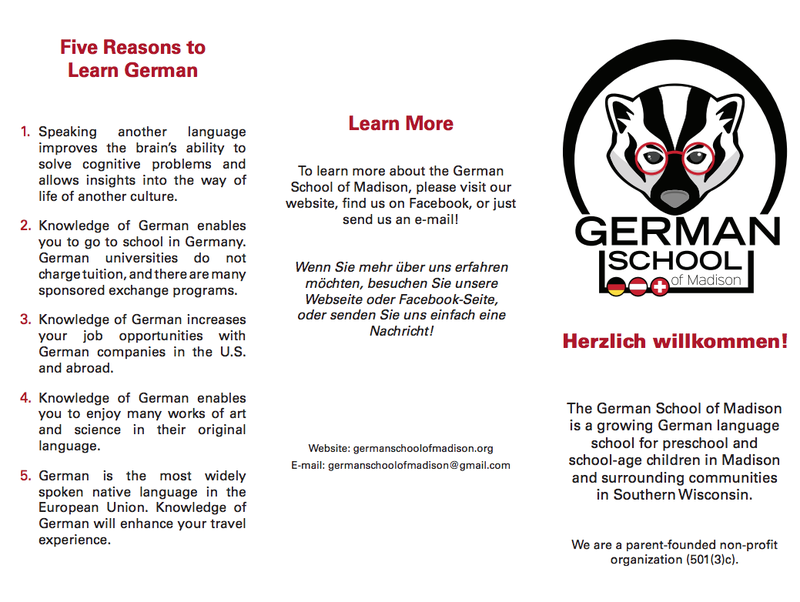 © German School of Madison, 2017, unless stated otherwise. Unauthorized use and/or duplication of this material, including pictures, without written permission from this blog’s owner or the copyright holder is strictly prohibited. Excerpts and links may be used, provided that full and clear credit is given to GermanSchoolofMadison.org with appropriate and specific direction to the original content.